At the bottom of the hill leading to his property, Holley created Praise Door in 1996. At the bottom of the hill leading to his property, Holley created Praise Door in 1996. 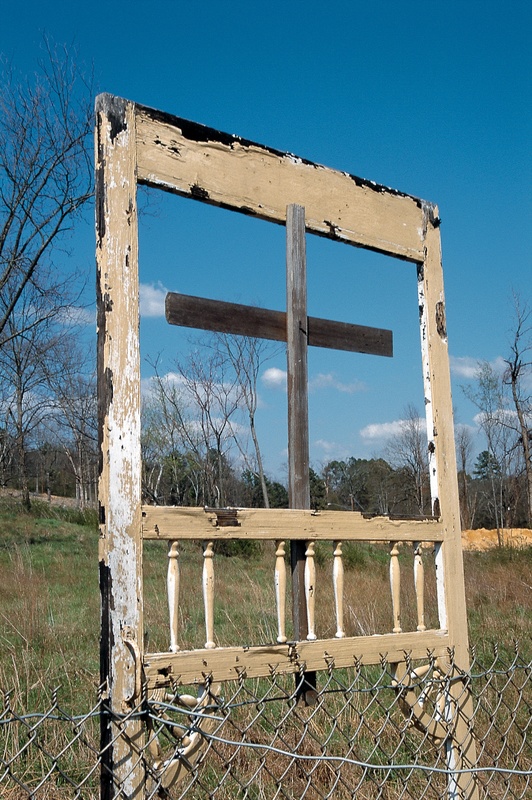 The piece was made from a door of an abandoned house in Holley's neighborhood and was embellished with a homemade wood cross. Its intent was to remind trespassers that they were intruding on another person's spiritual realm. It succeeded. Praise Door stood for three years, through and beyond the complete demolition of Holley's environment, and was never touched.